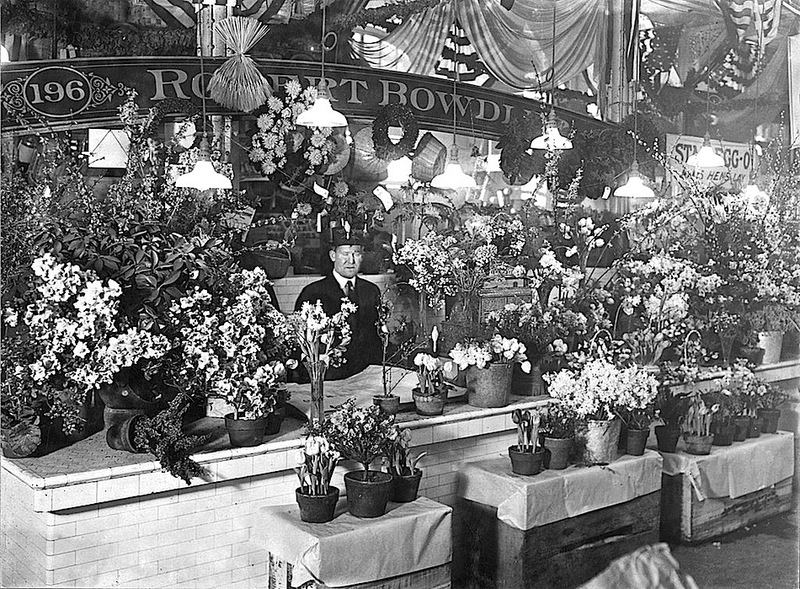 Forced azaleas, forsythias, and bulbs at a flower stand, February 18, 1915, by U.S. Department of Agriculture, via U.S. National Archives Commons on flickr. 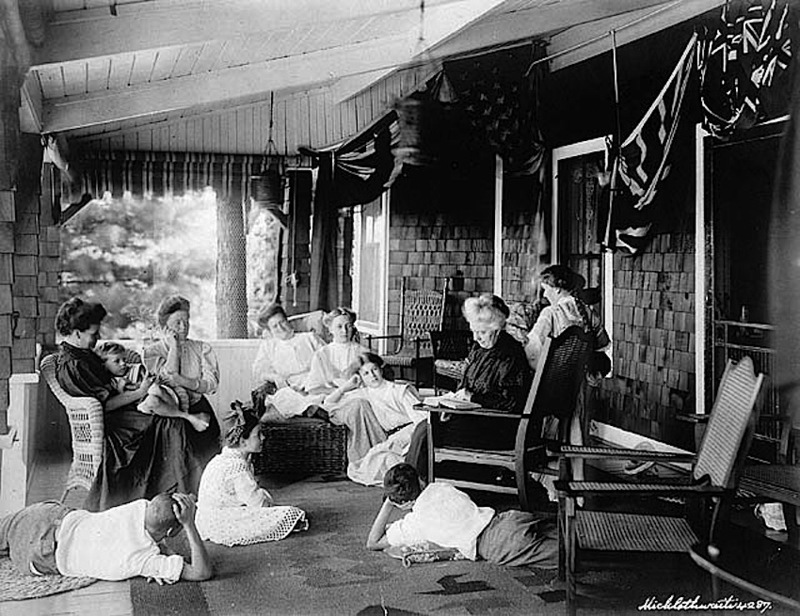 Center Market was located at 7th Street and Pennsylvania Avenue, N.W., Washington, D.C., where the National Archives building now stands. The red brick German Renaissance Revival structure was built between 1872 and 1878 (replacing an 1801 market). 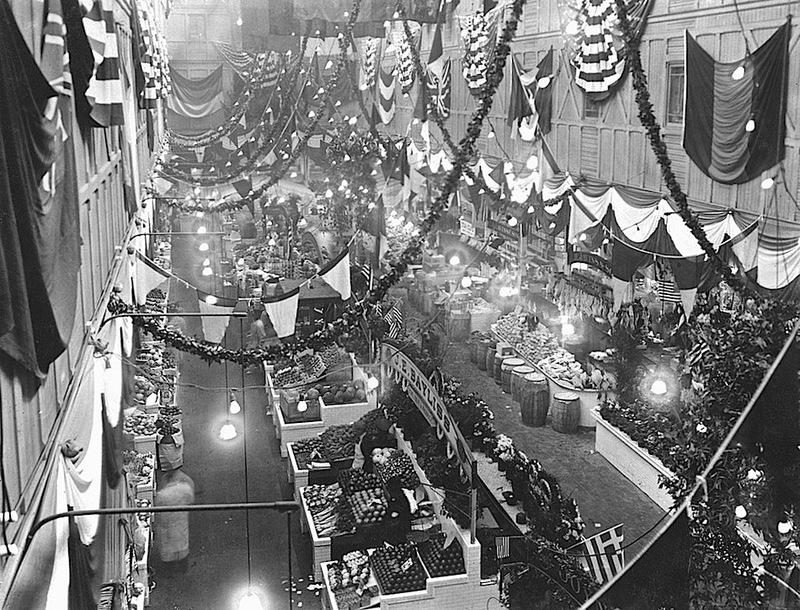 It held over 700 vendors in its halls and courtyard and was possibly the country’s largest market building. 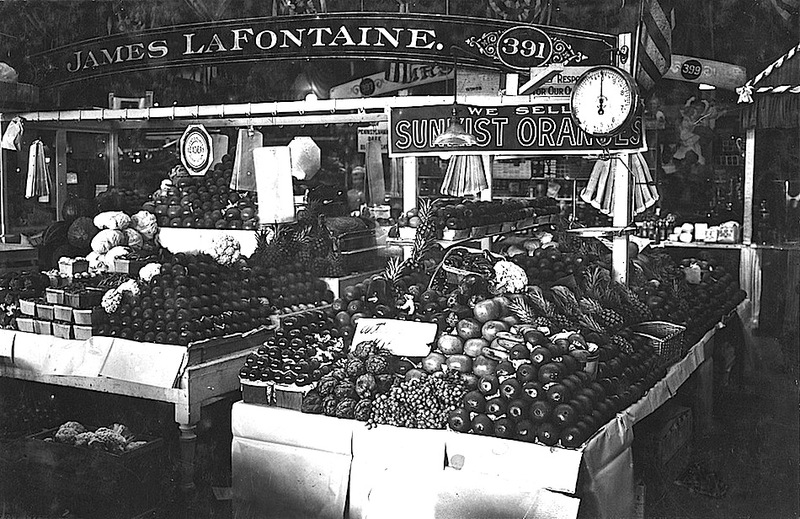 The Market closed in 1931, a victim of the rise of community chain stores and increased availability of canned and frozen foods — as well as the McMillan Commission‘s vision for a white marble, neoclassical center for the capital city. There are more photos of Center Market here and a more complete history here. Click on any photo above to enlarge it.